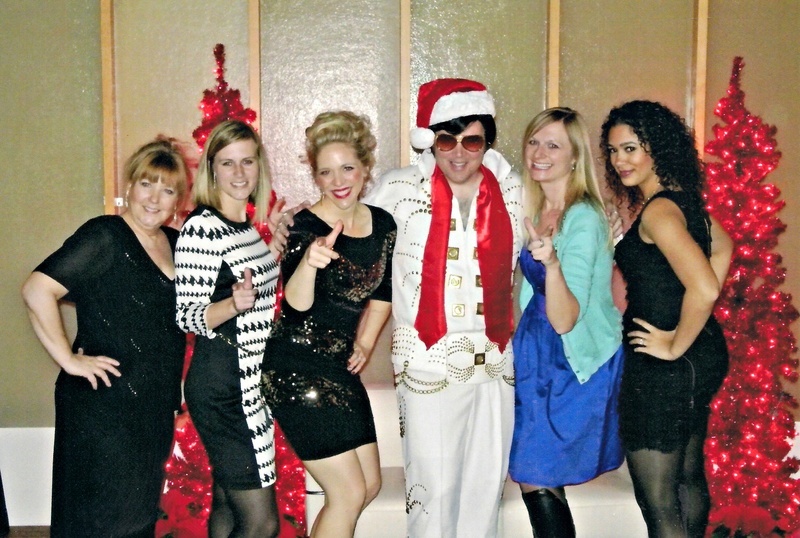 Had a rockin' good time entertaining some fine folks at their company Christmas party. 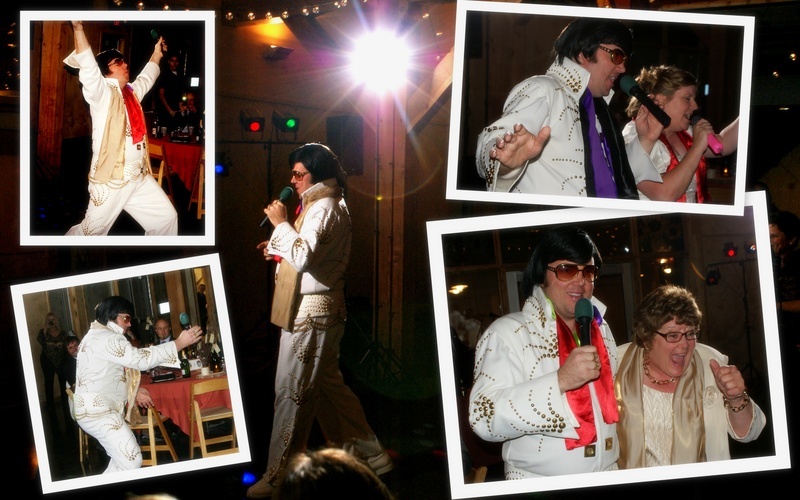 Had an excellent time performing as Elvis at a surprise birthday party for a friend from church. 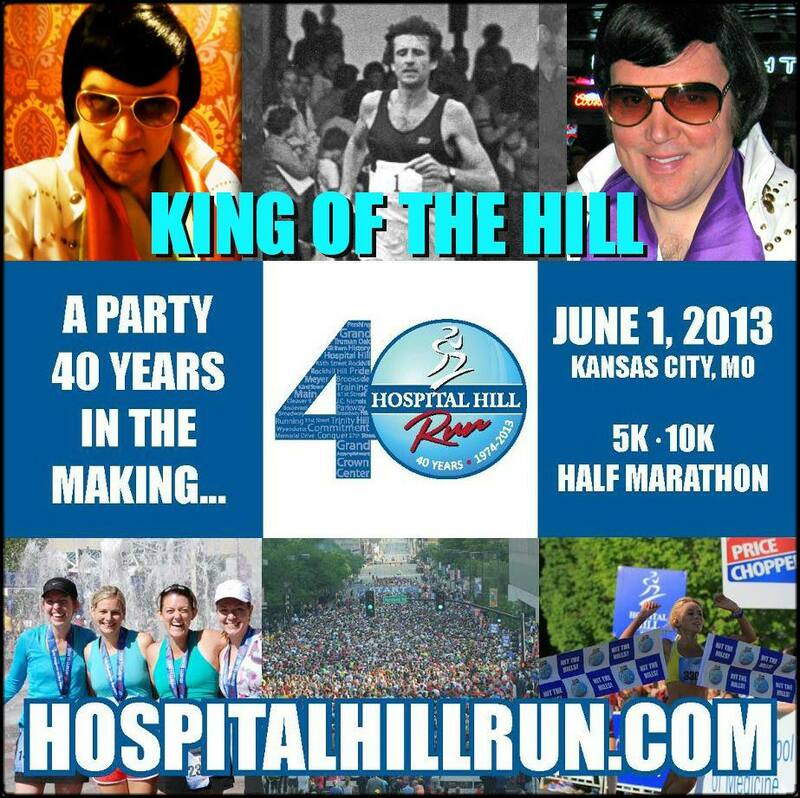 I had a rewarding experience being apart of the Hospital Hill Run today. It was great being able to show and give support to all of the runners who were part of the race. 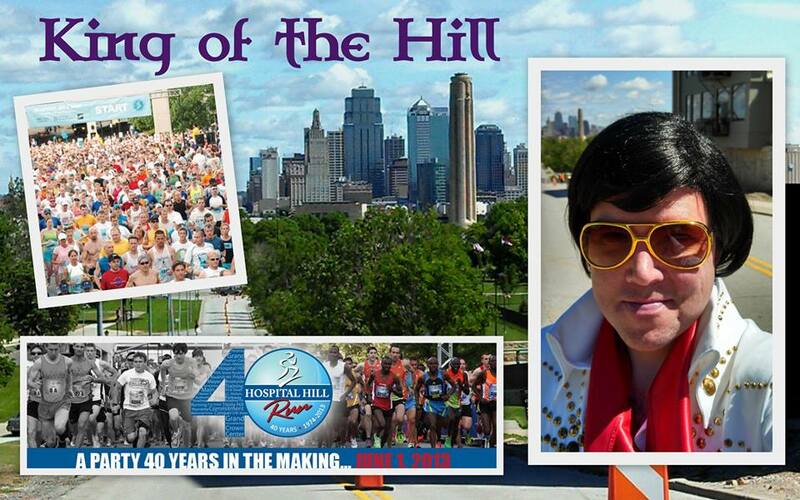 Everyone did a terrific job and I was glad to be there to cheer them on at the top of last hill on Trinity Hill. 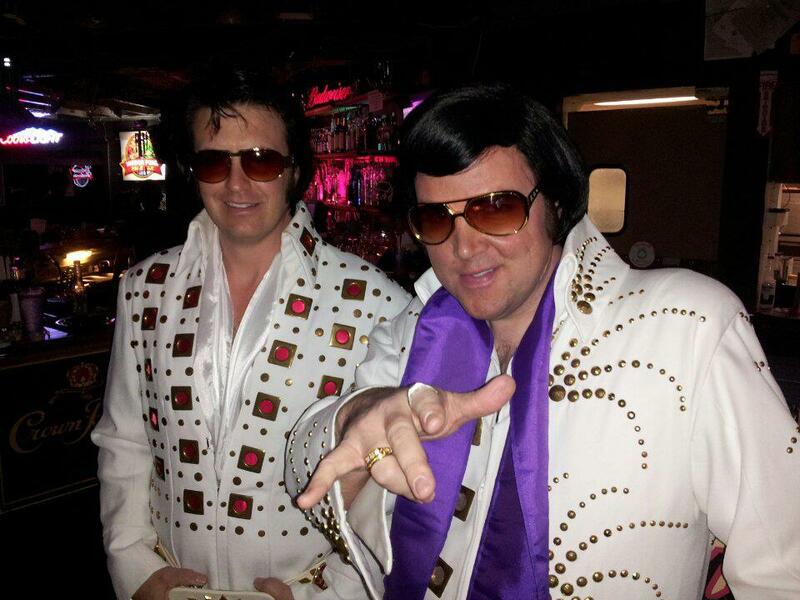 Funniest thing I heard all day, several of the runners when they saw me said "Oh no, it's Elvis, now I know I must have really died!" 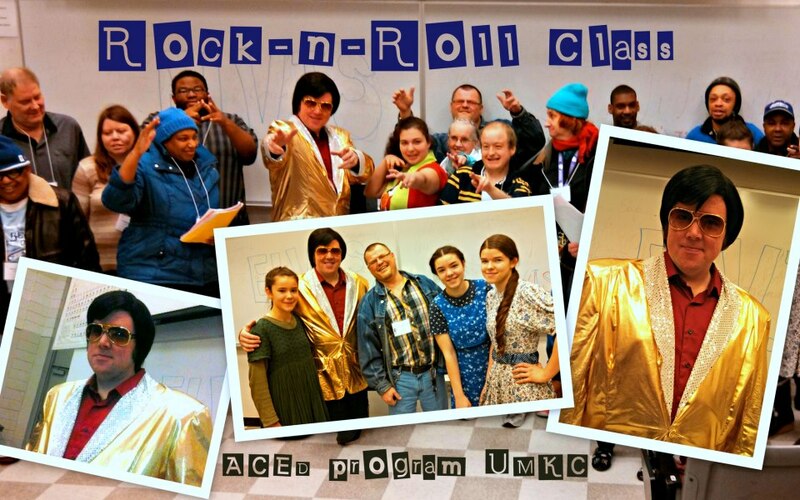 Had a wonderful experience today spending some time with the ACED program's Rock and Roll class. 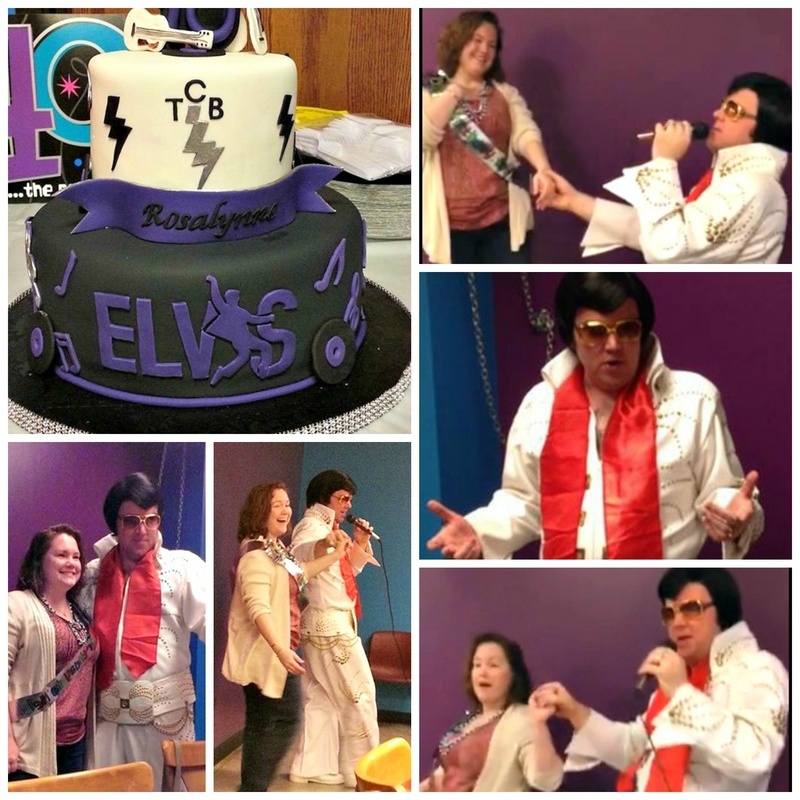 They were all so excited to be there and had a lot of fun singing along and dancing to hits of the King. My oldest girls also came along to be my backup dancers and had an enjoyable time as well. 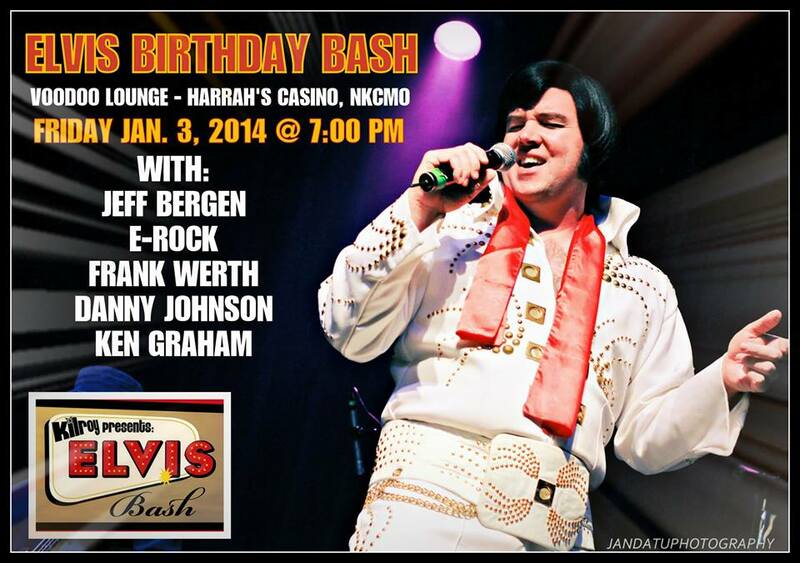 Had a terrific time at the Elvis Birthday Bash with some fantastic Elvis fans and fellow tribute artists. It was also great to have my mom and dad there as well. I wouldn't be where I am now if it wasn't for them. 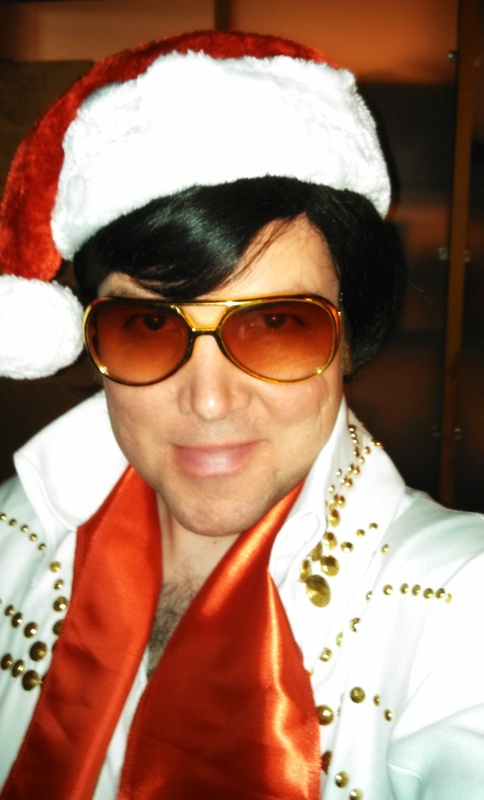 Getting my Elvis "Game Face" on before performing at a company Christmas Party in downtown KC. ~ Happy Holidays! Taking care of business at a spectacular wedding reception in Kansas. 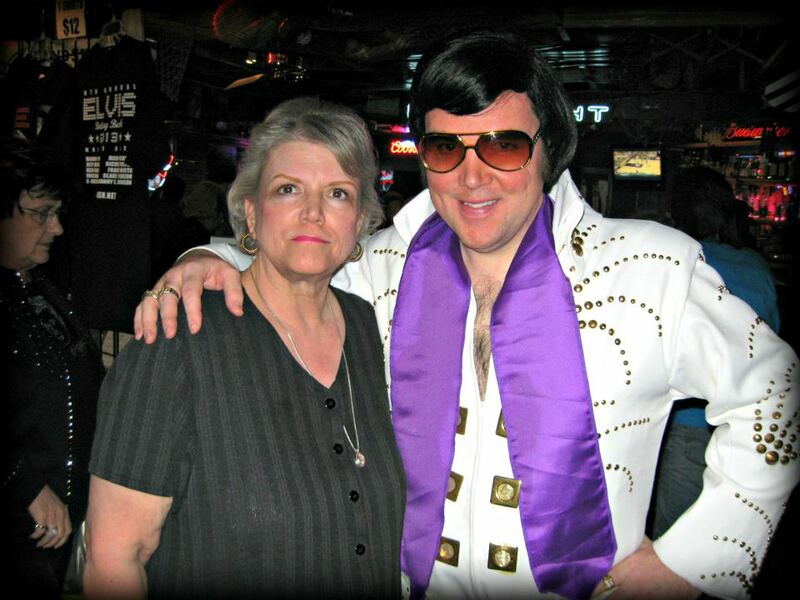 Had a fabulous time with some great Elvis fans. 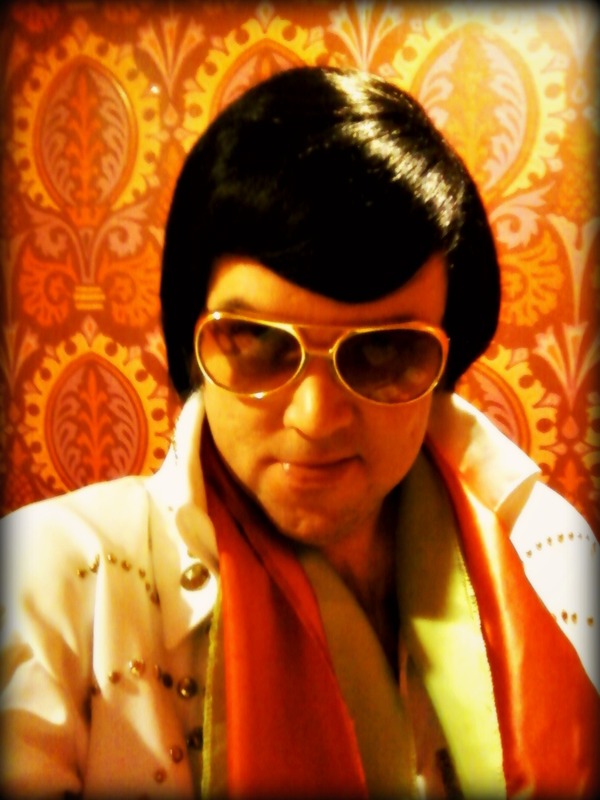 Had an enjoyable time this performing as Elvis at the Golden Years Center in Harrisonville, MO. My three oldest daughters also came along and sang a few songs to open up the show. 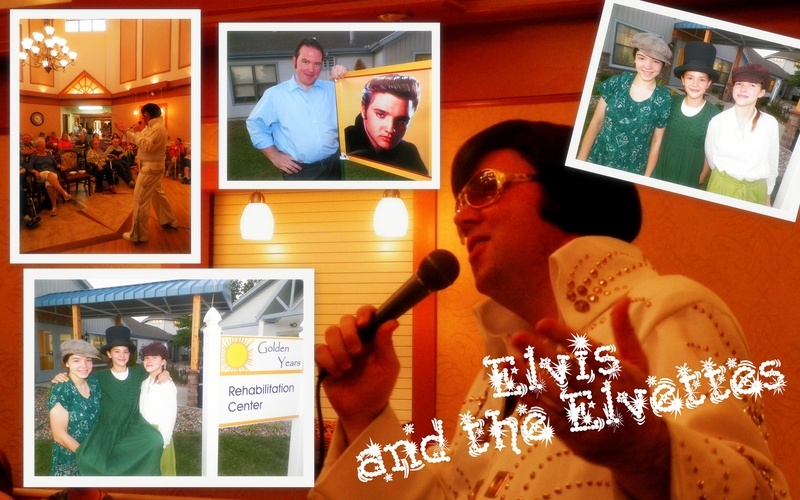 It was a real treat to be able to sing for all of the wonderful people there and to help lift their spirits and brighten their lives. 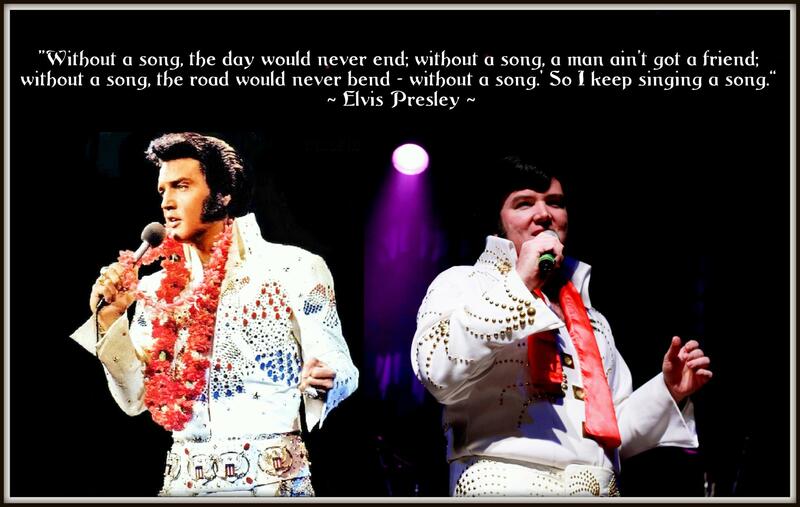 The music of the King sure has a magical way of making the world a better place to be apart of. I'm so glad that my girls were able to be there and help share their talents as well.